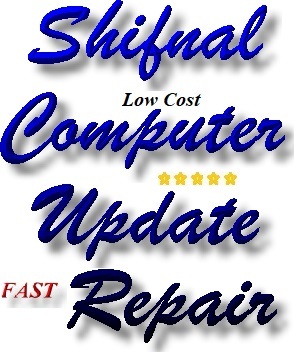 Shifnal Computer Update Repair includes Haughton Computer Update Repair, Sheriffhales Computer Update Repair, Kemberton Computer Update Repair, Tong Computer Update Repair and Computer Update Repair in the surrounding villages. 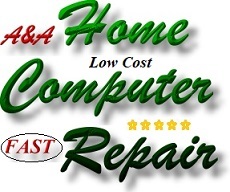 A&A Shifnal Computer Repair offer fast Computer Update Repair in Shifnal, Wheaton Aston, Sheriffhales, Kemberton, Tong and the surrounding areas. Microsoft provide free Windows Updates by download to address bugs and other issues within Microsoft Windows. eg; A&A Shifnal Computer Repair successfully fix Telford Windows 10 Initial Update Repairs (v1507), Shifnal Windows 10 November Update Repairs (v1511), Shifnal Windows 10 Anniversary Update Repairs (v1607), Shifnal Windows 10 Initial Creators Repairs (v1703), Shifnal Windows 10 Feature Update Repairs (v1709). Around the weekend of June 9th and 10th 2018, we noticed that another Windows Update glitch had surfaced. Some computers which required updates were saying that they were up to date. Our solution was to manually install Windows update v1803 (we are Microsoft partners and have specialist tools to ensure that updates are installed correctly). Since Computer Updates can take a significant time, A&A Shifnal Computer Repair often run major Computer Updates on overnight at no extra cost. This is why we usually advise thatr update repairs take approx 24 hours (we do the job properly). Please note that unlike others, we do not send Computers away for repair and all Shifnal Computer Update Repairs are performed by qualified, highly experienced computer engineers. Eg; A&A Computer Repairs have resolved multiple Shifnal Windows Computer Update issues with Windows 7 computers, Windows 8 computers and Windows 10 computers performing Windows updates, rebooting but not being able to access Windows. The computer then reports that a problem occurred and that it is reverting back to a previous installation - before the update. However; it cannot revert back and "just sits there". The computer is then unusable, restarting makes no difference and if restored it will automatically perform the same Windows update and encounter the same problem (by restoring your computer, you will usually lose all data on your hard drive). The solution is to remove your hard drive. Attach the hard drive to a dedicated computer and use premium anti virus and anti malware software to scan the drive for viruses, malware etc. Copy the documents to the dedicated computer. Reinstall the hard drive in the faulty laptop or PC. Perform a full reinstallation. Force the computer to install all Windows updates until the system is completely up to date (to the point where no additional Windows updates are available) whilst noting which Windows Updates are installed. If no problems occurred, copy the documents back from the dedicated computer and test the system. A&A Shifnal Computer Repair obviously perform the above Windows Update service in Shifnal. Cost is typically around Ãƒâ€šÃ‚Â£45. However the process takes approximately 24 hours (to do correctly). 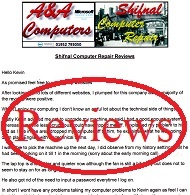 A&A Shifnal Computer Repair also collect and return the computer in Shifnal.